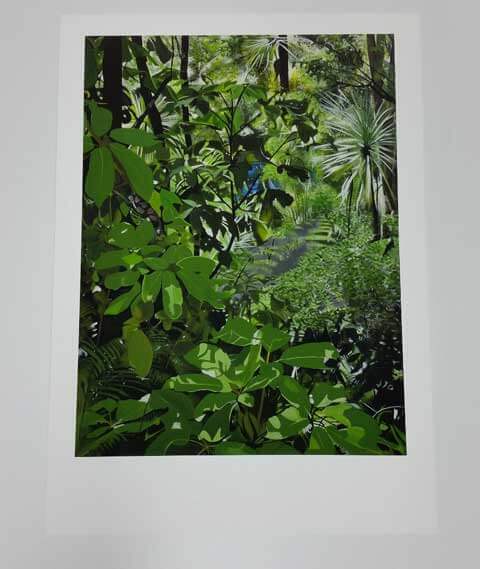 Fine quality digital print of my 2012 painting Huka Falls Bush 2. Huka Falls Bush is located near byTaupo , New Zealand. The actual location by the Waikato River just downstream from the famous Huka Falls. Status: 1 of 25 limited quantity high quality prints. Delivered unframed in protective tube. Signed, dated and titled by artist. Created by first capturing the original painting as a high resolution digital image by professional Photographer.